XStream Trucking launched TruckWings, its articulated aerodynamic device that encloses the gap between a tractor and trailer, calling the component an industry first. The panels, made of high-impact, glass-reinforced composites, create a continuous connection between the truck and trailer so that air flows smoothly over the entire length of the truck. When the truck slows down, the panels retract without driver intervention, providing the necessary clearance for turns at any angle, according to the Burlingame, Calif.-based company, which was formed in 2014. “We have done all the testing. We have been on the road in pilots [with fleets] for over a year. We have run through last winter, including a big 15-year ice storm, and we are looking to take orders now and put more units on the road,” Daniel Burrows, XStream Trucking’s founder and CEO, told Transport Topics. The truck speed at which TruckWings deploys is configurable by the fleets, Burrows said Nov. 13, but it generally happens at around 50 miles per hour. “Of our [early adopter] fleets in the last three weeks of operation, 93% of the miles they have driven have been covered by TruckWings,” he said. Digital information delivered from actuators on the device allows the company and a fleet’s home office to monitor when TruckWings is deployed and its performance, he said. The gap area contributes significantly to a truck’s overall aerodynamic drag and two-thirds of a truck’s fuel bill is spent overcoming that drag, according to the company. “Our device performs very well in crosswinds and we are seeing very, very high [fuel] savings in crosswinds. We want to do more work to validate those numbers before sharing them as every fleet's duty cycle is different. We are working with the fleets and letting them see the results from their data rather than coming on too strong about what the overall savings are,” Burrows said. A calculator on the company’s website is intended to help prospective buyers understand their potential fuel savings. Mike Roeth, executive director of the North American Council for Freight Efficiency, estimated the gap area presents as much as a 5% opportunity for fuel savings. “The exciting thing about TruckWings is that it is the first solution to automatically and completely enclose the sides and top of the tractor-trailer gap. 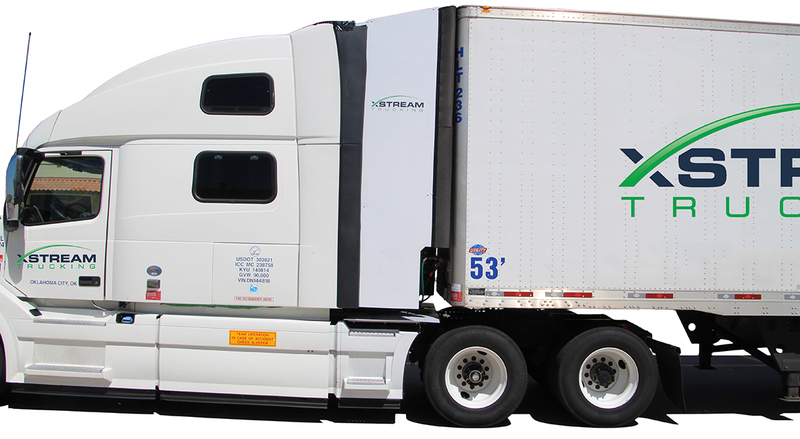 We performed their first independent on-road fuel economy test in 2016 and XStream has always taken a very customer-led, data-driven approach to product development,” Roeth said in a statement. The exciting thing about TruckWings is that it is the first solution to automatically and completely enclose the sides and top of the tractor-trailer gap. The 190-pound component is available as a retrofit mounted on the back of the cab. “We are finding the fleets are doing the installation during normal maintenance periods,” Burrows said. The company is offering two options for acquiring the system. One is a service model whose per-mile fee includes all replacement parts and the data-tracking service that monitors when the device is deployed — which is the basis of the per-mile fee. The other option is to purchase TruckWings outright. The price depends on order volume and truck type, Burrows said.